The more familiar two people become, the more the language they speak together departs from that of the ordinary, dictionary-defined discourse. Familiarity creates a new language, an in-house language of intimacy that carries reference to the story the two lovers are weaving together and that cannot be readily understood by others. There is a wonderful mythical law of nature that the three things we crave most in life happiness, freedom and peace of mind are always attained by giving them to someone else. If you had it all to do over, would you fall in love with yourself again? Indeed, nothing is more critically connected to happinessï¿½both our own and that of our childrenï¿½than how well we love and support one another within the family. There is much satisfaction in work well done, but there can be no happiness equal to the joy of finding a heart that understands. Truly loving another means letting go of all expectations. It means full acceptance, even celebration of another's personhood. Yet each man kills the thing he loves from all let this be heard some does it with a bitter look some with a flattering word the coward does it with a kiss the brave man with the sword. Forget the resolutions. Forget control and discipline, too much work. Instead try experimenting. Go in search of something to fall in love with...something about yourself, your career, your spouse. Is your love for the Lord sufficient to give all your time and talents to his work? Fame is not achieved overnight and famous quotes are given by both famous and not so famous people. Hence, it is only the words that matter and not the person who said those words. Some of the quotes given below are highly motivating and some of them are by unknown authors too. There were great leaders like Winston Churchill and Abraham Lincoln whose quotes are world famous. Famous quotes are beyond geographical boundaries and are immortal. Needless to say, some of the famous quotes are inspirational, some of them are motivating and some of them are even funny that they?re remembered for the punch they have. So, these famous quotes are sure to make you think, to ponder and even bring a smile on your face. Spread this emotion to your friends toot through email or cards. Love gives life meaning. Whether it is the love between romantic partners, love for family or friends, having love in life makes it worth living. Love can be expressed in a multitude of ways for love's many forms. We have beautiful love quotes and sayings to express all types of love. Whether you are looking for romantic love quotes for a card or wedding vows or inspirational love quotes, you will find them in our extensive collection. 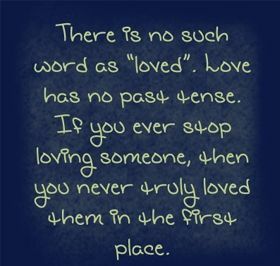 Look through our love quotes and poems to find all types of love quotes. You will find falling in love quotes, romantic love quotes, cute, funny & sad love quotes and much more. Browse the full list of quotes to be inspired to seek and appreciate the love in your life or search for a specific quote you are seeking using the search box at the top of the page. To further refine the results of love quotes and poems, you can click on the Related Results at the top of this page. There are results for romantic love quotes, family love, God, teen love, and sad quotes, including regret and goodbye quotes. Our timeless quotes are suitable for all ages and make the perfect addition to a card, letter or email in which you want to express your love or bring a smile to the face of a loved one.